Ireland is full of charming small towns, and Waterville is one of them. Nestled along Ballinskelligs Bay on the Atlantic Coast, it is the only coastal town on the Ring of Kerry. In the summer, this town of 500 turns into a bustling summer resort. In October, I found it to be on the quiet side with friendly locals, scenic vistas, and great food. 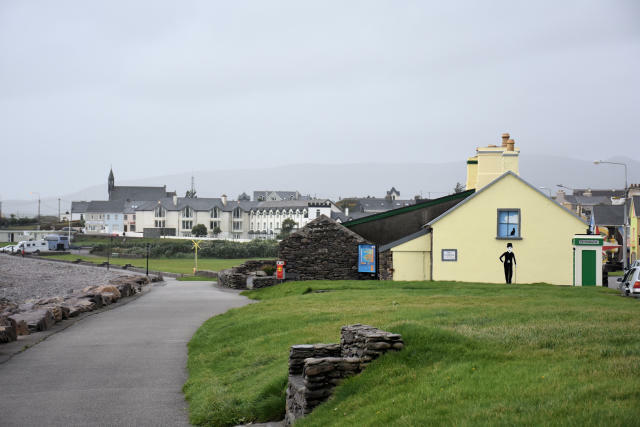 If you are thinking of visiting this seaside town on your Ireland road trip, here is what to do and where to stay in Waterville, Ireland. As you know, food is an important part of my travels. During my visit, I had the pleasure of dining at The Fishermen’s Bar at the Butler Arms Hotel and the bar at the Sea Lodge Hotel. 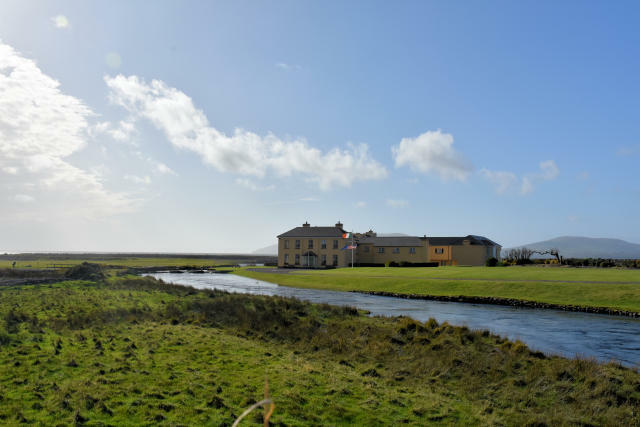 I had two of my favorite dishes in Ireland at these restaurants – a goat cheese mousse with thyme and garlic, honey, balsamic and beets at The Fishermen’s Bar and crab claws with garlic butter at the Sea Lodge Hotel. The menus at An Corcan Restaurant, The Lobster and Dooleys Seafood and Steak House had many tempting items on them with fresh local seafood, Kerry lamb, and Guinness dishes. On my second trip to Waterville, which happened to be on a Saturday night, I tried to eat at Dooley’s, but the restaurant and bar were packed. The only thing I managed to get was a beer, so if you plan to be there on the weekend, make a reservation, even in the offseason. Waterville is a small town, but it has some interesting spots you’ll want to see. If you’ve come to Ireland for its ancient history, you’ll want to check out the Loher Stone Fort. This site dates back to early Christian times and was built to defend a small farm and homestead. Visitors can wander around and inside the fort. It’s a 12-minute drive outside of town, and once you get off the highway, the road narrows significantly. Near the site, there is space for about two to three cars to park. Acess to this site is FREE! 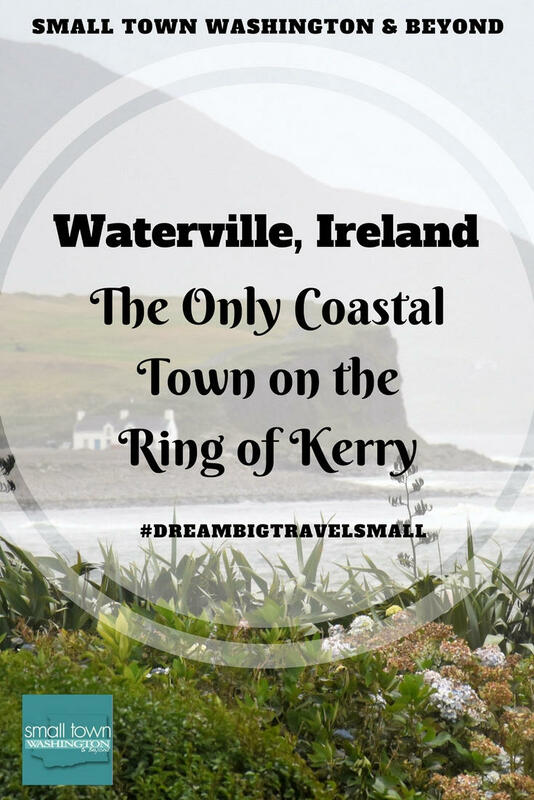 As I mentioned, Waterville is the only town along the coast on the Ring of Kerry. The town is centered around a promenade that has a large grassy area, a walking path and access to the beach. If you’ve heard of the Kerry Way, a 133-mile walking route in County Kerry, and a part of crosses this coastal path. The town has an easily walkable heritage trail that stops at 12 locations. Some of which include St. Michaels Church (1861) and its historic graveyard, a statue of Charlie Chaplin, a statue of football payer Mick O’Dwyer, former coastguard cottages and the Transatlantic cable. If you like to mingle with the locals and experience the arts such as plays, movies, and music on your travels or like to get hands-on in a workshop check out the events at Tech Amergin. This cultural arts center is a 5-minute walk from downtown. I had the pleasure of meeting Sarah, the center’s manager and getting a tour of the public gardens. If you are Charlie Chaplin fan or like to laugh, Waterville is a hotspot for humor. Every August Waterville holds the Charlie Chaplin Comedy Film Festival in honor of Charlie Chaplin who vacationed in Waterville with his family for ten years. The festival includes movie screenings, workshops, and Chaplin-themed events. Since I’m not a sports person, I had no idea golfing was such a big thing in Ireland. With two golf courses, the Waterville Golf Links and Hogs Head Golf Club, there is no lack of golfing choices in Waterville. Behind Waterville, mostly hidden from view is Lough Currane. This large lake is famous for its Atlantic salmon and sea trout fishing. I had a rather dramatic entrance to Waterville as I arrived via Ballaghisheen Pass, which is a 25-minute drive northeast of town. If you want to experience an isolated mountain drive, I highly suggest driving the pass. You can read about my drive here. 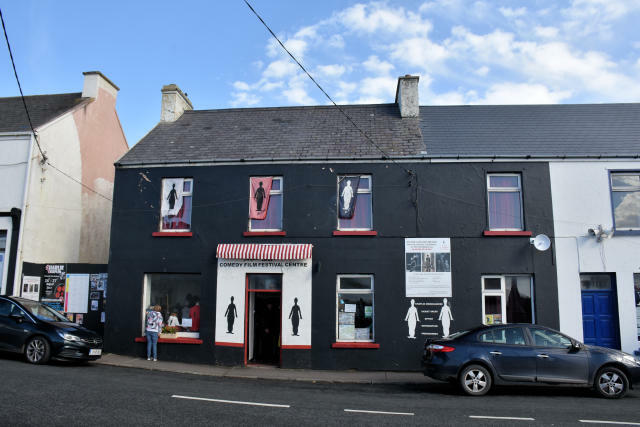 Waterville is also a short drive away from the Skellig Ring drive (read more here) and Valentia Island (read more here). For lodging, there you’ll find a few hotels and lots of B&B options. During my stay, I stayed at two of the town’s hotels – the Butler Arms Hotel and the Sea Lodge Hotel. I would recommend both of these hotels as they both have water views, a great atmosphere, and breakfast options. The Butler Arms Hotel is a historic family run hotel on the north end of downtown. Over the years it has had plenty of famous guests like Charlie Chaplin, Walt Disney, JP Morgan, Catherine Zeta-Jones and Michael Douglas, and the cast of “Star Wars: The Force Awakens.” Room choices include garden view and Atlantic view with double or single beds. I had an Atlantic view executive room, which had plenty of space with a living room area and a floor-to-ceiling window that had a view of the promenade and the wave action on the beach. I really loved the historic vibe of the hotel with multiple reading rooms decorated with antiques, peat log fires, and friendly staff. Rates: €100 to €200 depending on room type, and be aware that rates change seasonally. I stayed at the Sea Lodge Hotel on my return trip to Waterville. Located near the middle of town, the style of the hotel is contemporary and has also had the cast of “Star Wars: The Force Awakens” as guests. I had not made a reservation before my arrival, and since it was the offseason, I hoped that would work in my favor. When I stopped to see if they had a room at 6:30 pm, they did! And, they gave me a discounted rate. It wasn’t for a sea view room, but after a long day of exploring and driving, I was very pleased with my room which had a super comfy bed (the most comfortable bed I slept in in Ireland), and modern amenities such as USB plugs and a television with a very clear picture. If I return to Waterville, I’d like to stay in sea view room with a balcony. Are you ready to visit the coastal town of Waterville, Ireland? 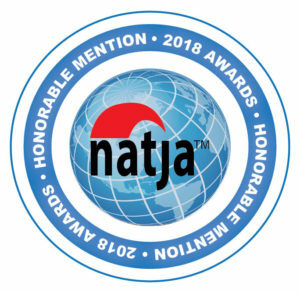 For more information on Waterville, Ireland visit their website. Tis looks like a lovely little town even more so In October when it’s quiet I reckon. The Waterville’s Coastal Promenade sounds lovely. I love coastal walks. The Ballaghisheen Pass looks spectacular too. Thanks for sharing. You have created a beautiful picture of Ireland with your detailed information and nice photographs. I would really like to visit Ireland once. Gorgeous photos! Those fish and chips have be drooling! We were just in Ireland, but didn’t get a chance to explore the Ring of Kerry or this delightful coastal town. We’re already planning a trip back so I’m pinning this for inspiration! You had me at the crab claws! And at the mountain pass; that sound exactly our sort of place, although I expect we’d be wanting more of it at the end. I’ve definitely not seen enough of Ireland so far. Bernadette, I’d never had crab claws like those. They were amazing. 🙂 I think Ireland is a place you could keep returning to as there is so much to see and so many off-the-beaten-path places to explore. Beautiful area! Your pictures are amazing and you did a great job of highlighting the attractions of the area. I hope to get to Ireland sometime in the next year or so and this looks like a terrific place to visit. Thank you. 🙂 Have fun on your Ireland adventure! Waterville looks enchanting and there is so much to see and experience. Always fascinated by forts and the Loher fort looks intriguing. The heritage trail is another experience that I would love to indulge in. Last but not the least the scenic drives are definitely something to die for. Sandy, Thanks so much for commenting. I find forts so interesting and that one is really old. I hope you get to visit Ireland and see more! Waterville looks a serene and beautiful town great for a weekend getaway. We would love to explore the Loher Stone Fort and take a walk along the coastal promenade. The heritage walk sounds interesting too definitely something we wouldn’t miss. Rashmi and Chalukya, Both are great activities. I walked the promenade in the sunshine and rain, loved it both times. Carmen, I too enjoy Ireland’s history and visiting all those old sites. Glad you are enjoying my Ireland travels. More to come! Crab claws and Charlie Chaplain film festival? Sold! I arrived on a very windy day and from my room, at the Butler Arms Hotel, I could watch the waves. It was so cool! I have not been to Waterville, but driving around the small towns in Ireland was one of my favorite travel experiences to date. They all have so much character. It’s always nice to get out of the big cities. Lara, We didn’t hit Watervilled when we were driving the Ring of Kerry, but it looks quaint and comfortable. I would put it on my list for my next trip. Corinne, There are so many great small towns on that drive it is hard to choose which ones to stop at! I hope you get to check it out one day. Waterville looks like a wonderful place to visit. I’ve explored some of Ireland but not this area. Loher Stone Fort looks well preserved, and the backdrop is stunning. I think it’s the scenery of the area that calls to me most strongly, your photos of the Ballaghisheen Pass are phenomenal. Kavita, Thank you! A landscape like that makes it easy to take a good photo. Waterville looks like a charming little town. I’ve not been anywhere in Ireland but I do enjoy seeing all the posts and photos from others’ travels (even though it does make me a bit jealous). I’d like the crab claws at Sea Lodge Hotel and a night (or five) there, as well! Francesca, I’d never had crab claws like that. They were so good. When you make it to Ireland you’ll love it! Not only does the Fishermen’s Bar and crab claws with garlic butter at the Sea Lodge Hotel sound and look delicious but it makes my mouth water. I have not heard of Waterville Ireland before but gee it looks so lovely and charming and between the food, hotel and the views of Ballaghisheen Pass I just want to pack my bags and head over there now for a long weekend. Mel, I have to admit, it makes me want to pack my bags and head that way too. I’m hoping to return in 2018. Another place to add to my list for my return of Ireland! Gosh that country is amazing. What were the crab claws like that you ate? I loved all the seafood in Ireland! SO fresh and beautiful. I would absolutely LOVE to go during the Charlie Chaplin festival! That sounds like way too much fun to miss out on! I have been to Ireland a number of times, but not to Kerry. I love crab so you had me hooked when you mentioned the crab claws at Sea Lodge Hotel. I now HAVE to add this to my list for my next visit to Ireland! Janine, I’ve never had crab claws like that before. That is the way to eat them! Have a great time on your next Ireland trip!